Got around to putting my most useful programming projects up on Github.com. You can now easily get the newst versions, repost bugs, read the source code and fork the code to make your own version. The next project up will probably be my collection of HP-41 programs found on this site. Update (2015-08-28): I have now put all my relevant HP-41 related programs up on my Github page. The pages and links on this site is now updated to point to my Github projects. Notice how I am drifting away from blogging about Scientology. Scientology blog posts generate a hell of a lot more action than any post on RPN of HP calculators. But it’s the logical evolutions as Scientology drifts away into the sunset. The church is dying and anything of value in the subject itself will find its way into the common pool og human knowledge. And all will be fine. 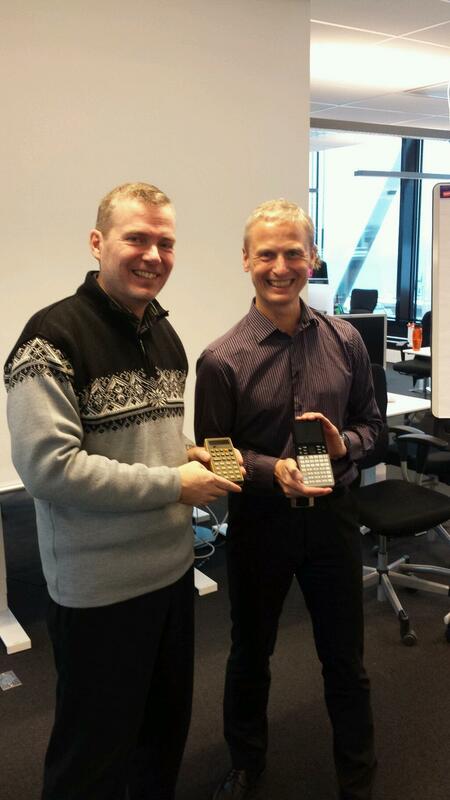 In my talk at HP Norway, I covered my history as a calculator enthusiast. 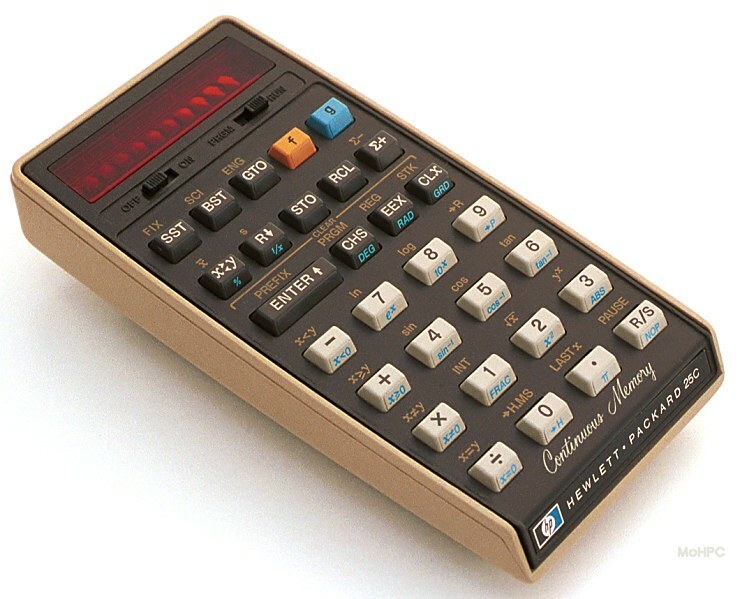 I got my first calculator (a TI-57) when I was 13 and my first HP calculator (HP-41CX) a few years later. I started collecting as an adult, and in 2008 eighty-nine of my ninety calculators got toasted when the building where we had our offices burned to the ground. A couple of months before the fire, the Norwegian national TV interviewed me and showed my collection. Lots of people saw it. 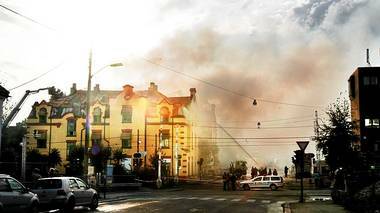 Shortly after the fire, the TV host Petter Skjerven came back to do a “part 2” where he asked me how I felt after the fire. We were standing in the ruins when I told him I felt great. 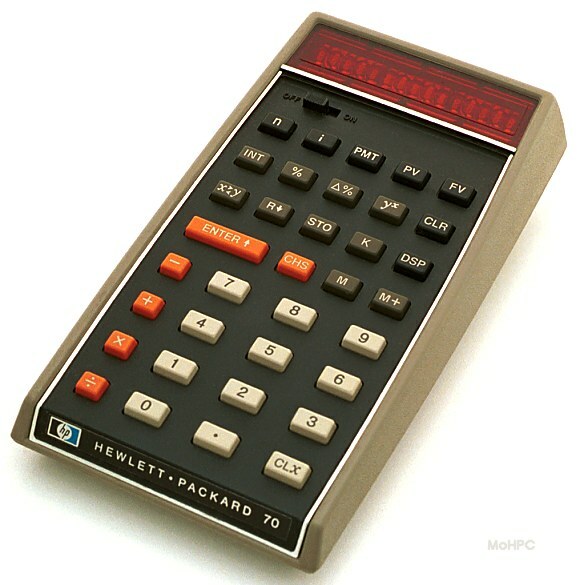 A couple of weeks before the fire, I had a dream where I had all HP-calculators ever made in mint condition. That saddened me – because the game was over. 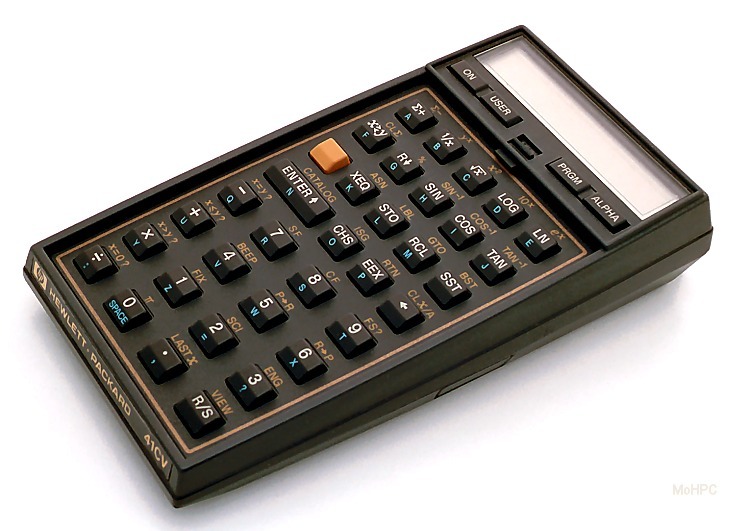 You see, the point about collecting the calculators, apart from actually using them, is to COLLECT – not to HAVE. So, I had 8 years of fun behind me when the fire struck. And then I had at least 8 years of fun ahead. It felt great. After that second show, people started sending me their old calculators. And now I am almost beck where I was. Except my HP-01 is hard to replace. 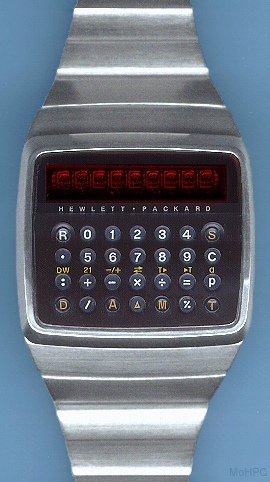 And my HP-37E had the lowest serial number recorded. Priceless. Oh well. 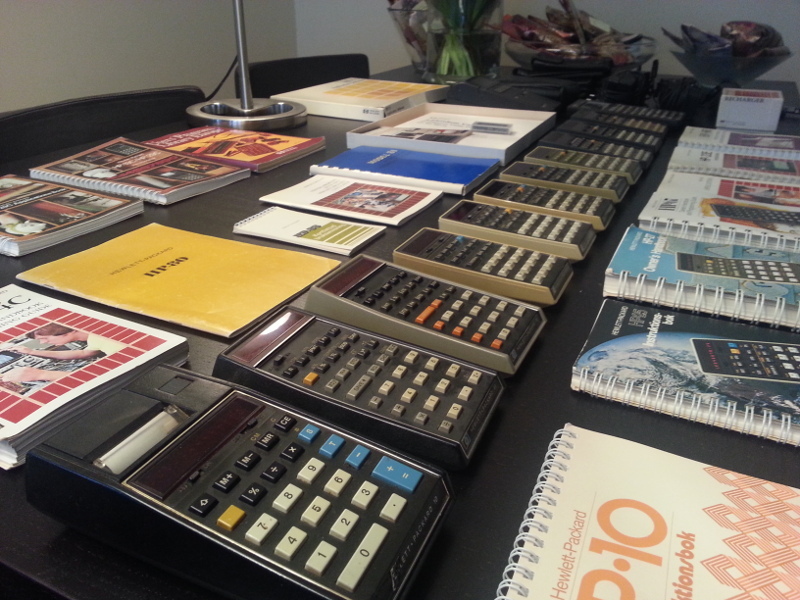 I started to rebuild my collection, and I have calcs now that I never had before – like the gifts I got from HP after my talk; an HP-70, an HP-25C and an HP-10. All rare items. One important personal point I touched upon in my talk was how I am driven by feelings. 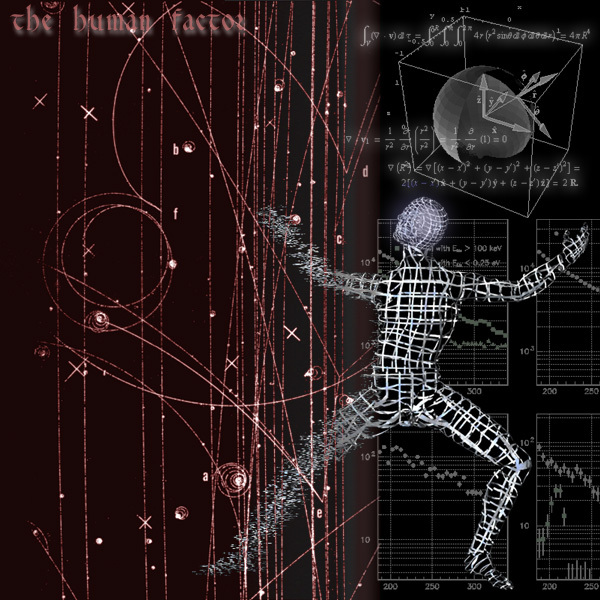 The feeling for the unknown, the feeling of learning something new, of discovery, of the vast sea of interesting knowledge, the thrill of learning Einstein’s theory of relativity before I got my first calculator, the excitement of making a self-modifying program on a TI-59 that I borrowed from a friend of mine. The joy of synthetic programming on an HP-41. And the nerve wrecking feeling of reading aloud when I was in high school. The thrill of girls, of the first job, of travelling abroad, of meeting with interesting and amazing people. The emotions, the fun. This is what drives me. 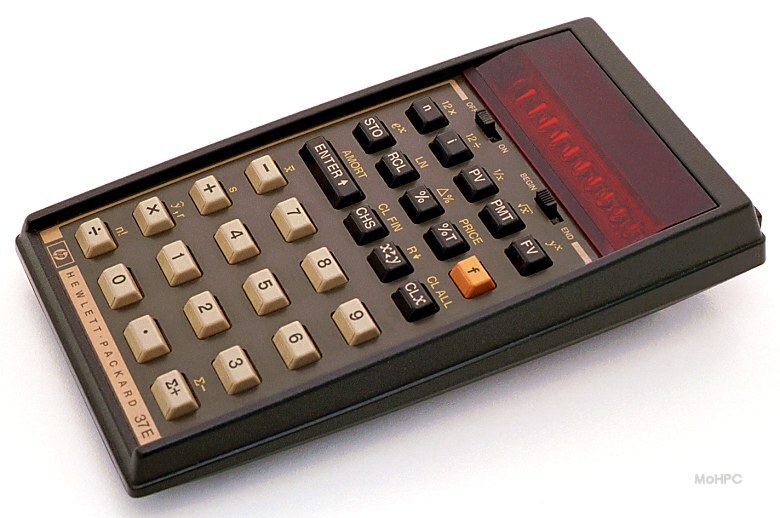 And collecting old calculators rejuvenates many tingling, captivating and entrancing rushes. I love it. This a big reason why I make music, artwork, meet and talk to new people, travel, read, play, point my telescope to the stars and live life as I do. I am a feeling-junky. This is also why I blog. Det blir vanskelig å slå gårdsdagen. Dagen da julen ble overskygget. Dagen da kalkulatorentusiastene inntok HP-kontorene på Fornebu og fikk dele sin pussige glede over gamle klenodier som selv HP hadde parkert i sin dypeste kjeller. Tenke seg til – jeg ble invitert av HP til å holde foredrag om et av deres gamle hjertebarn; HP-kalkulatorene. 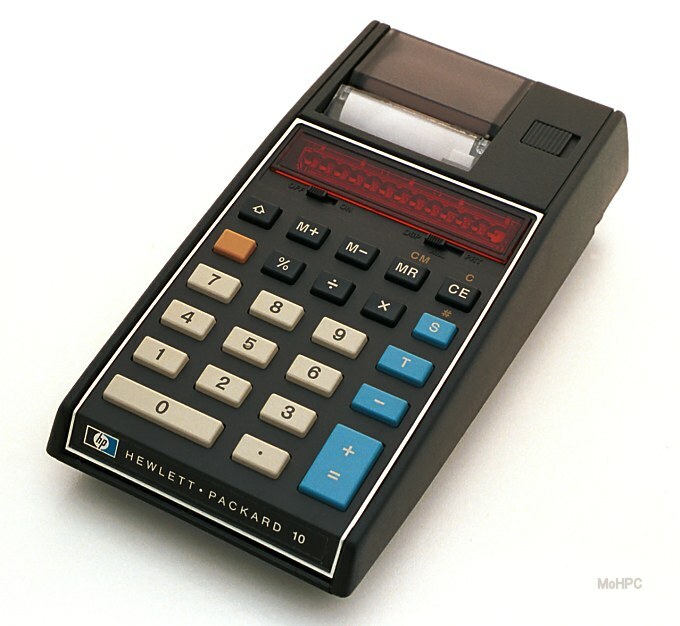 Det er videns kjent at jeg har en mental skavank, en særegen svakhet for gamle mattemaskiner fra 70- og 80-tallet produsert nettopp av Hewlett Packard. Og i går fikk jeg muligheten til uten bygsel å legge for en dag mine følelser for maskinene som for meg representerer et vindu inn i matematikken og vitenskapens verden. Sammen med min gode venn, Arne Helme, som deler mitt mentale avvik. Det hele ble kronet med en julaften som lignet den jeg opplevde da jeg var 12 år og fikk mitt første teleskop. Harald Andersson hadde tatt turen ned i kjelleren og hentet ut en skokk pensjonerte kunstverk for å gi dem et bedre hjem. Hos Geir og Arne. Jeg fikk tolv kalkulatorer! Inkludert en HP-70!! Arne fikk tak i en HP-70 for noen år siden og misunnelsen har ikke stått stille siden. Og der var det jommen meg en HP-25C også. Og en flott HP-27. Og en HP.10 🙂 og en ubrukt HP-34C som jeg ga til Arne. Jeg har en slik fra før, men det hadde ikke han. Et lite ras av dokumentasjon og bøker fulgte med. Og en blomst og en vinflaske. Helt sykt. Snakk om julaften! Tusen takk til Julenissen som til daglig jobber som ingeniør i HP. HP er en unik bedrift med en unik historie. Og nå som de har lansert en svært avansert kalkulator med touch-skjerm i farger og heftige matematiske funksjoner, er de på rett spor igjen. Mer om HP Prime i en senere bloggpost. I’ve had this simple program on my HP-41 for years, “CLR”. It clears the registers, stack and Alpha as well as setting the correct flags and time/date formats. It also checked to see if the clock had been reset (as it does when the battery runs out) and prompts for Time and Date if it has. On my trip to the US, I met with Joseph Horn and Garth Wilson. And it was from Garth I got the idea to extend my CLR program to include a simple status line with the current week number, the current moon phase (percentage of illumination of the moon) as well as the time remaining to the next upcoming alarm, if any. The program is simply run by XEQ “CLR”. This clears all register, stack and Alpha as well as setting the right combinations of flags. It returns with zero in the display. If you press R/S it will prompt for “DATE^TIME” if the clock has been reset (DATE, Enter, TIME) and then display a status line: (ALARM) WEEK# MOON% – Example: “01:32 27 -35%” which shows it is 1 hour and 32 minutes till the next alarm goes off (no such number if there are no future alarms), it is week #27 and the moon is illuminated 35% and it is waning (a positive number means the phase is waxing/growing). Pressing R/S again shows the running clock (the CLOCK command). You can also access the status line (and then the clock by pressing R/S) by XEQ “STATUS” without having to clear registers, stack and Alpha first (thanks Anette).